New Heian / Pinan Sandan book available! 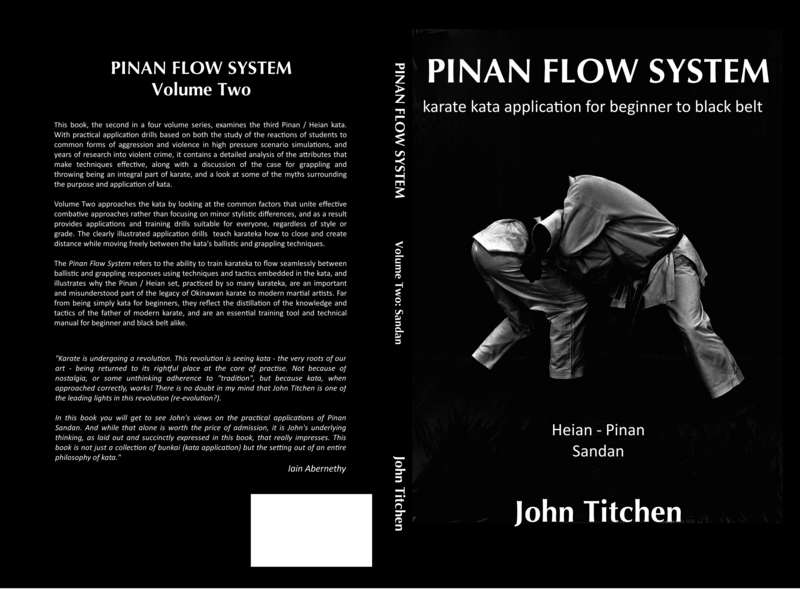 I’m extremely excited to be releasing Volume Two of the Pinan Flow System, outlining how I use Pinan / Heian Sandan to teach free movement between striking and controlling strategies along with the ability to adapt to different stimuli. I rate this kata incredibly highly and I hope that by taking the time to record my drills in pictures, this book will ‘open it up’ to far more people than I could possibly reach by seminars and classes alone. This book, the second in a four volume series, examines the third Pinan / Heian kata. With practical application drills based on both the study of the reactions of students to common forms of aggression and violence in high pressure scenario simulations, and years of research into violent crime, it contains a detailed analysis of the attributes that make techniques effective, along with a discussion of the case for grappling and throwing being an integral part of karate, and a look at some of the myths surrounding the purpose and application of kata. 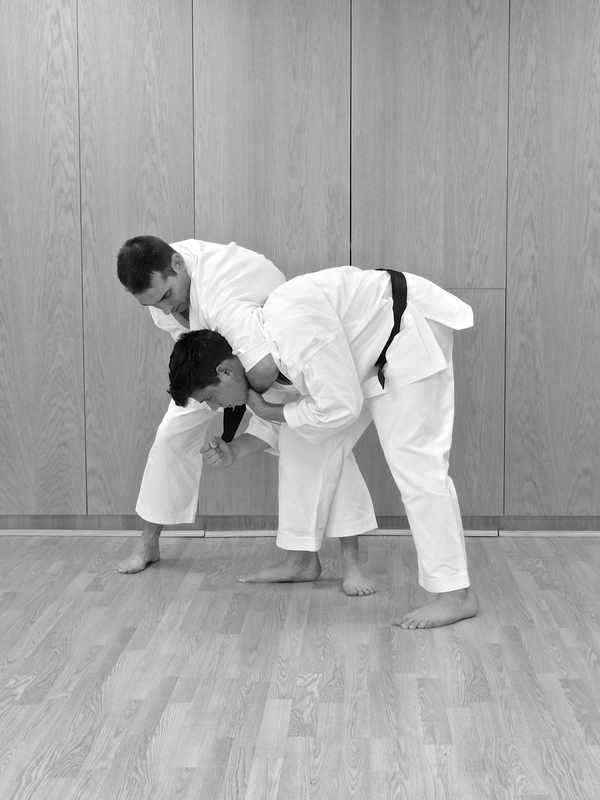 Volume Two approaches the kata by looking at the common factors that unite effective combative approaches rather than focusing on minor stylistic differences, and as a result provides applications for everyone regardless of style or grade. 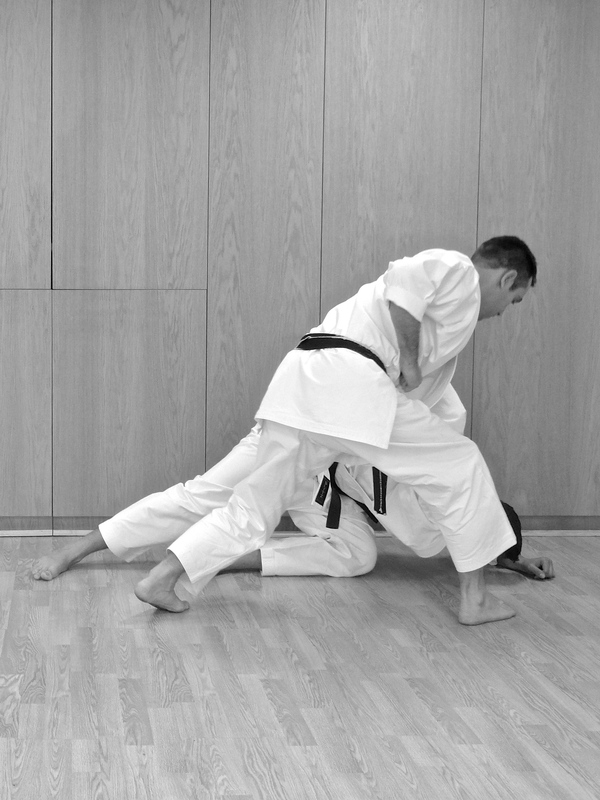 The drills have a heavy focus on utilising movements in the kata to move from compromised positions to achieve a control or strike. Rather than offering a single solution the drills recognise the inherent variety provided by tactile situations and offer lots of redundancies, all keeping within the scope of the form. The drills cover responses to habitual acts of violence (HAOV) such as punches, grabs, tackles, leg-lifts, headlocks and clinch like positions. The kata comes alive with punches, open-handed strikes, forearm strikes, unbalancing strategies, knee strikes, arm controls and throws. The Pinan Flow System refers to the ability to train karateka to move seamlessly between grappling and ballistic responses using techniques and tactics embedded in the kata, and illustrates why the Pinan / Heian set are an essential training tool. I’ve recently had two experienced Dan grades come to join me for ‘extra’ karate training in addition to their own regular club training, and if their smiles and laughter as the kata has come alive for them in these drills is any measure then I know that a lot of students and instructors will benefit from this book. The book is available internationally on amazon and the ebook will be released on Kindle before Christmas.